Brownie recipes come in all shapes and sizes. Some are cakey, some are chewy and some have all different kinds of add-ins that make them extra-special. Usually, if I wanted to make spur-of-the-moment brownies I was always lacking in some essential ingredient but, with these one bowl brownies, as long as you have the basics, you can eat brownies. The recipe is not a fussy one and one thing that I like is that the recipe makes a 9 x 13-inch pan - more than enough to enjoy and share with friends. They are super dense and moist as long as they're not overbaked. For me, this means about 25 minutes. They're not thick or cakey and go perfectly with a cold glass of milk. If you want something fancier, use them as a base for ice cream sundaes and, as always, make them yours by adding in nuts, chocolate chips or top with a favourite chocolate icing. If you're like me and brownies are sometimes a hit-or-miss affair, give these a try. They're easy, don't cost a whole lot to prepare and are perfect for the budding baker. 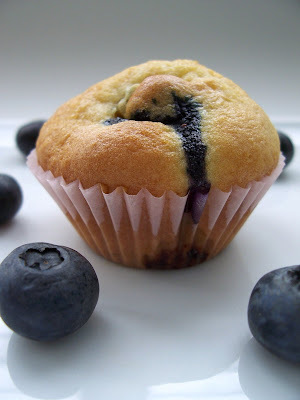 Here's another blueberry recipe to try out. Blueberry crumble bars are exactly what the name implies - juicy blueberries nestled underneath a sweet brown sugar crumble. If you're looking for a dessert the is reminiscent of blueberry pie without actually having to make one, this may be for you. The bar consists of a brown sugar crust which is simply mixed in a bowl. The blueberry filling is easy to pull together since the fruit requires no cutting, peeling or slicing. Wash, toss and you're done. The crumble is my favourite part of the whole bar. I love the sugary crunchiness it imparts which goes well with the juicy berries. In less than an hour, you have a pretty tasty treat. Overall, I give these bars a thumbs up. The only issue I have is with the crust which I found to be very thin. When patting it into the pan, I had barely enough to cover the whole bottom. Call me old fashioned but I like a substantial crust that holds the filling without falling apart. If I had doubled the recipe maybe I would have got what I wanted but no matter. I also found the texture of the crust to be crunchy in a maple candy sort of way. A little bit grainy. It was by no means inedible and would have probably tasted fabulous crumbled on top of creamy vanilla ice cream. Summer berries are finally here and in Ontario and that means berry desserts are on the menu. They may not all be local but there presence is welcome nonetheless. I made these muffins a while back for a senior kindergarten graduation. The recipe calls for full-sized muffins but I made mini ones to fit in little hands. I also left off the crunchy topping since all it is only sugar and orange rind. The feedback I got was that the muffins were yummy and my own family, who ate the not-so-perfect ones, really liked them and asked for more. Unfortunately, that's about all I can say about them because I didn't write anything down about the final product and summer holidays have seemed to give everyone in my house temporary memory loss. All I can say was that they were a breeze to make and bake and if you try them maybe you'll have more to say about them than me!